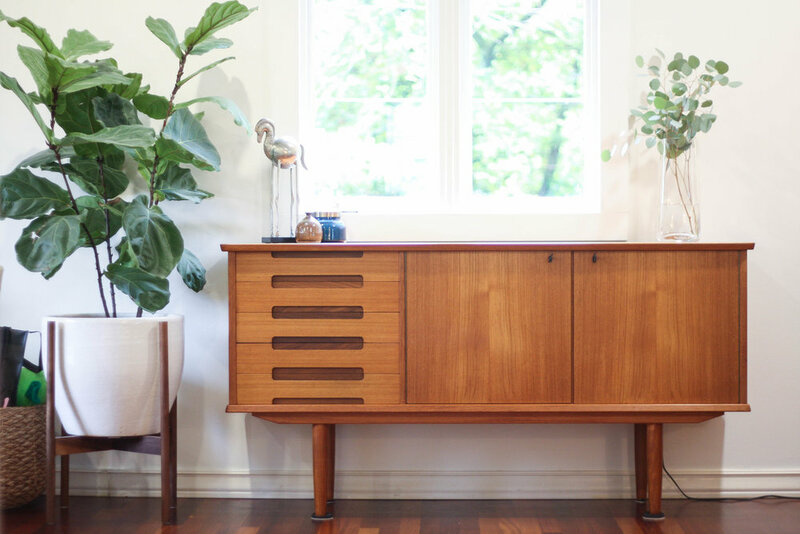 This beautiful scandinavian modern, teak sideboard, is the perfect size for your space. Not too big, not too small. As Golidlocks would say, it's just right. 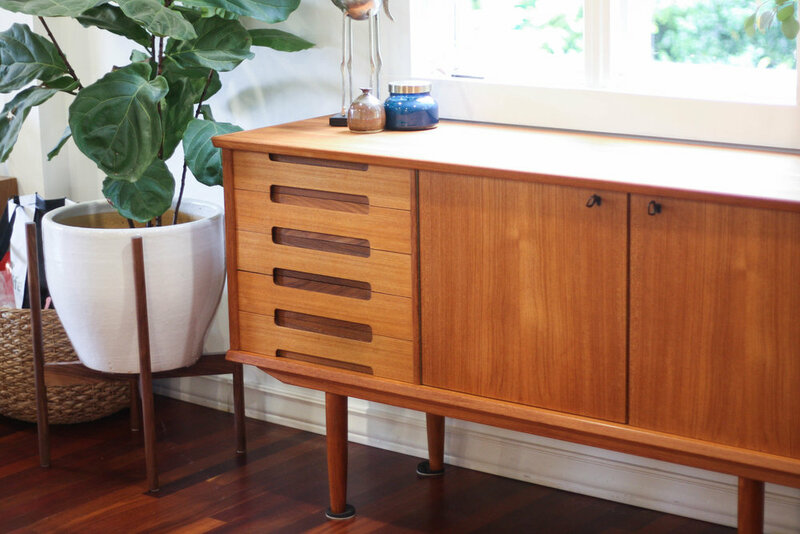 Features include two generous hinged, locking doors that reveal a large interior cabinet space. The shelf behind the doors can be adjusted to a variety of heights to accommodate your storage needs. 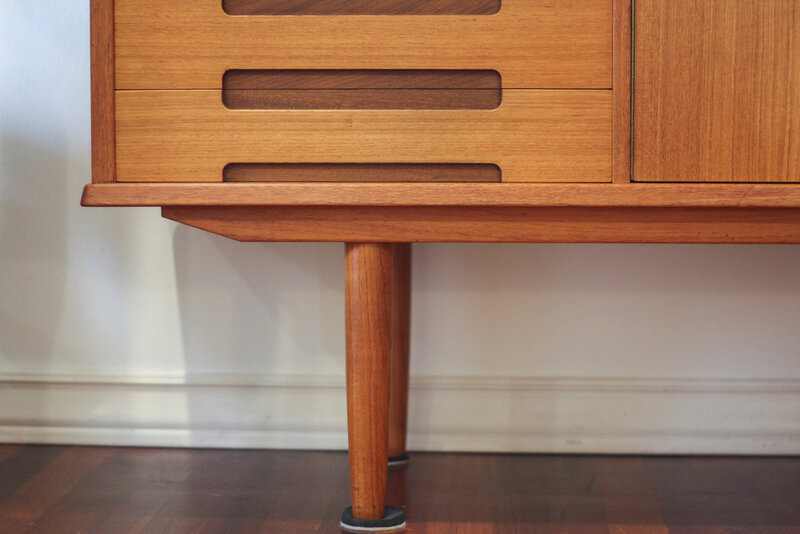 Five drawers on the left are all felt lined, with the top drawer featuring a sliding jewelry compartment. The hourglass drawer facades give the piece a wonderful "pop" of dimension.